Marking the launch of the [Re:]Entanglements project, the first of a number of exhibitions related to the project has been installed at the Royal Anthropological Institute in London. 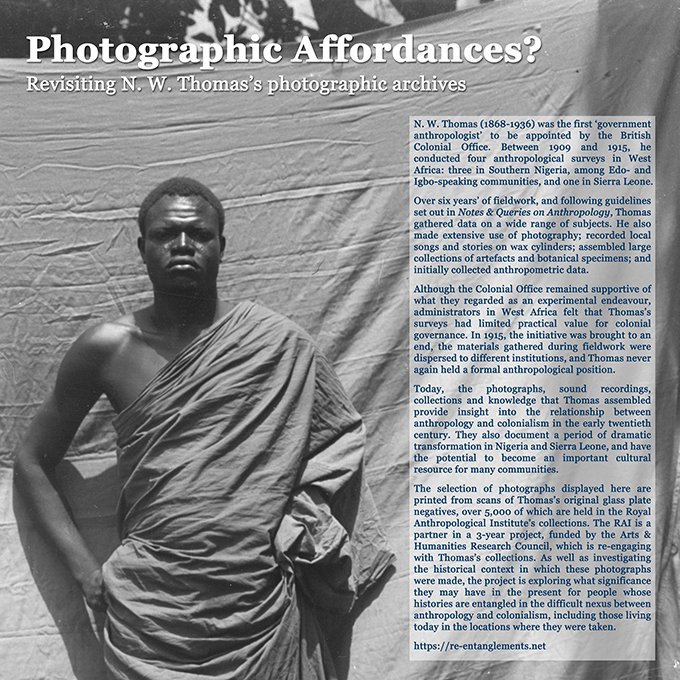 The exhibition, entitled ‘Photographic Affordances’, includes a selection of fine digital prints from scans of N. W. Thomas’s original glass plate negatives that are held in the Royal Anthropological Institute’s collections. 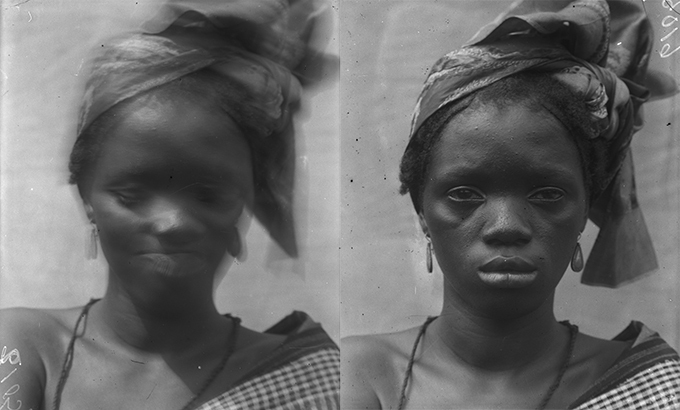 Photographs made during Thomas’s four anthropological surveys in West Africa between 1909 and 1915 are dispersed in various institutions, including over 5,000 glass plate negatives held at the Royal Anthropological Institute and several thousand loose prints in the collections of the University of Cambridge Museum of Archaeology and Anthropology. Approximately half the photographs made in Thomas’s three Nigerian tours were compiled in albums. Triplicate sets of these albums were made: one was originally kept in the Colonial Office Library in London, another was sent to the Colonial Secretariat in Lagos, while the third was intended for scholarly reference and originally deposited at the Horniman Museum in London. Today complete sets of the albums can be found in the UK’s National Archives and the University of Cambridge Museum of Archaeology and Anthropology, while, to date, we have located one album at the National Museum in Lagos. Hopefully, in the course of the [Re:]Entanglements project, we will be able to locate the remaining albums in Lagos. Selection of N. W. Thomas’s physical type photographs on display at the Photographic Affordances exhibition. 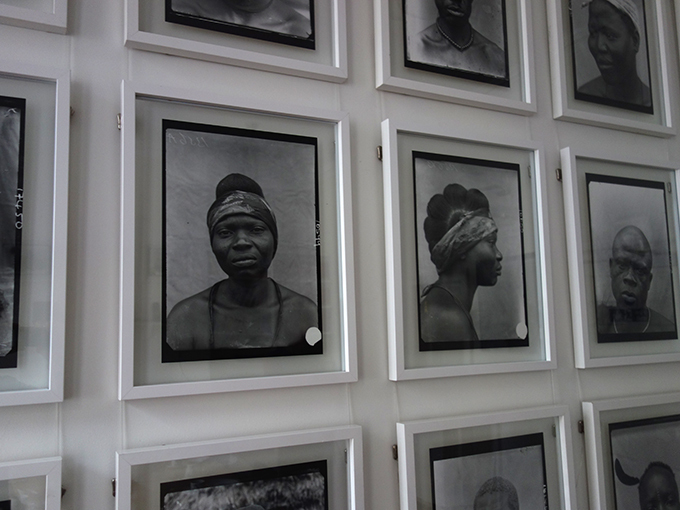 Many of the prints on display at the Royal Anthropological Institute are so-called ‘physical type’ portraits. In the late nineteenth century and early twentieth century anthropological orthodoxy imagined the world’s population to be divided into distinct races and tribes, each with its own language, material culture and cultural traditions. It was also believed that people belonging to these groups were physically different from one another. Anthropologists of the era, including N. W. Thomas, expended a great deal of effort in mapping these different groups and their physical characteristics. One technique for doing this was through making photographic portraits of people – usually full face and profile – which could then be compared. The same techniques were used in the Ethnographic Survey of the British Isles, for example, but this kind of photography is often associated with colonial attitudes, which seemingly reduced people to objects that could be measured, categorized and compared. Plate XVII, N. W. Thomas, Anthropological Report on the Ibo-speaking Peoples of Nigeria, Part IV, 1914. 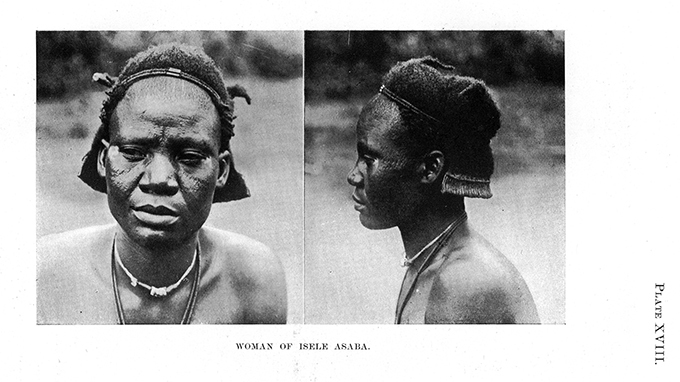 Physical type photograph captioned ‘Woman of Islele Asaba’. When physical type photographs were published in Thomas’s Anthropological Reports, the captions followed this objectifying anthropological practice. 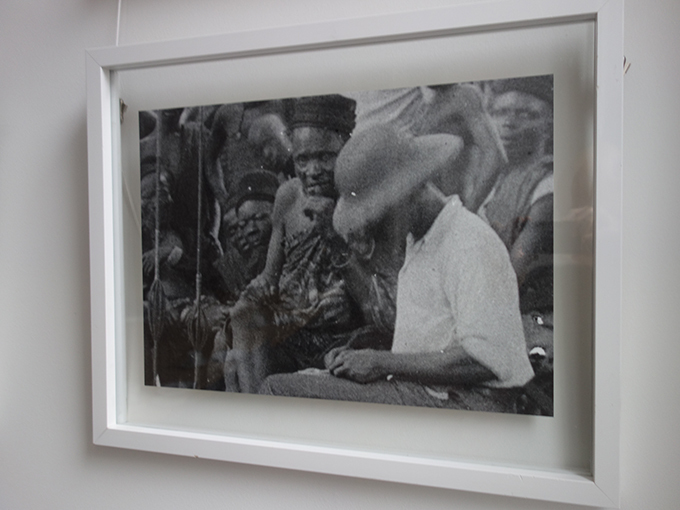 Thus, people were reduced to ‘types’ and the photographs were accompanied by labels such as ‘Man of Awka’, ‘Man of Mbwaku’ and ‘Woman of Isele Asaba’. In keeping with the supposedly ‘scientific’ genre of the photographs, the subjects do not smile. They seem to manifest the colonial violence we expect of them. By examining Thomas’s photographic negatives, however, a different impression emerges: Thomas was usually careful to note the names of those he photographed and, among the unpublished outtakes, we find people smiling and even giggling. This challenges our expectations and suggests there was a more personal relationship between the anthropologist and the person being photographed. Despite the large number of physical type photographs made by Thomas while he was engaged as Government Anthropologist, the colonial authorities themselves had little interest in them, regarding them as being of ‘purely scientific interest’ and of no value in colonial governance. Thomas himself seems to have pursued this kind of photographic practice more out of a sense that this was what a professional anthropologist was expected to do, rather than a conviction in its scientific import. The physical type photographs displayed in the Royal Anthropological Institute exhibition raise difficult questions, particularly for an institution founded in the 1870s and also entangled in histories of colonialism and ‘racial science’. Some of the faces smile, but others gaze into Thomas’s camera lens defiantly. They return the colonial anthropologist’s gaze, and now, gazing down from the Institute’s meeting room walls after 100 years hidden away in storage, they confront and unsettle representatives of the discipline today. The exhibition is not open to the public, but please contact us at info@re-entanglements.net if you are interested in seeing it. Photographic Affordances exhibition, Royal Anthropological Institute. Who was N. W. Thomas? Northcote Whitridge Thomas (1868-1936) was the first official government anthropologist to be appointed by the British Colonial Office. He was born in the English market town of Oswestry, near the Welsh border. Although his mother and father lived until 1907 and 1914 respectively, as a child Thomas was informally adopted by his mother’s elder sister, Katherine Toller, and her husband, John Askew Roberts. Roberts was a successful businessman, who ran the local Oswestry Advertizer newspaper and took a keen interest in archaeology and local folklore, the possible source of Thomas’s interest in folklore studies and ethnology. N. W. Thomas in c.1887 while studying at Cambridge. Courtesy of Norman Home. Thomas studied History at Trinity College, Cambridge between 1887 and 1891, and was awarded an MA in 1894. The famous anthropologist, folklorist and author of The Golden Bough, J. G. Frazer, was a Fellow of Trinity College. Thomas certainly became an acquaintance of Frazer in later life, though we do not know whether he fell under his influence while studying at Cambridge. By 1894 it was clear that Thomas had decided to pursue folklore and ethnological studies. Since no university in Britain yet taught these subjects, Thomas went to study ‘primitive religion’ at the École pratique des hautes études in Paris under Léon Marillier. Among his near contemporaries were Marcel Mauss and Arnold van Gennep. Thomas’s research interests at this time focused on European folk stories and superstitions relating to animals. Influenced by E. B. Tylor, he speculated that these represented the vestiges of totemism. In 1897 he submitted a thesis entitled ‘La Survivance du culte des animaux au Pays de Galles’ and was awarded a diploma. Between 1897 and 1900 Thomas lived in Kiel, northern Germany, where he continued to study European folklore as well as modern European languages. 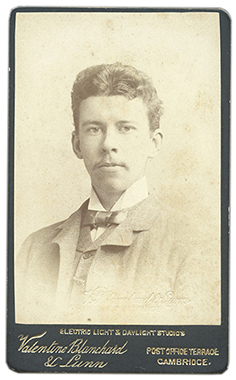 Thomas returned to Britain in 1900 and was appointed as Assistant Secretary and Librarian at the Anthropological Institute. The period until his appointment as Government Anthropologist in 1909 was an intensely busy one for Thomas, and saw him become an established figure in anthropological circles. He served on the Councils of the Folklore Society and (Royal) Anthropological Institute, and wrote or edited several books, including volumes of the County Folklore series, Natives of Australia (1906), Kinship Organisation and Group Marriage in Australia (1906), Anthropological Essays presented to Edward Burnett Tylor (1907, with R. R. Marett and W. H. R. Rivers) and Women of All Nations (1908, with T. A. Joyce). Thomas intended to conduct anthropological fieldwork in Australia at this time, but was unable to raise the funds. Title pages of three of N. W. Thomas’s books, published prior to his appointment as Government Anthropologist in West Africa. Thomas’s interests in West Africa seem to have arisen through his acquaintance with R. E. Dennett, who had been a trader in the Congo before being appointed as Deputy Chief Conservator of Forests in Southern Nigeria. Dennett was also an amateur ethnologist and collector, who published articles in scholarly journals. Thomas edited the manuscript of Dennett’s 1906 book, At the Back of the Black Man’s Mind: Or Notes on the Kingly Office in West Africa. This was a comparative study of Vili and Bini customs and belief. Indicative of his shifting interest towards Africa, Thomas also published an article on ‘The Market in African Law and Custom’ in 1908. Like his book-length studies of Australian kinship and totemism, this was a typical work of ‘armchair anthropology’, with data drawn from a wide variety of sources and not based on his own field research. The opportunity to conduct anthropological fieldwork of his own would come in 1909, with Thomas’s appointment as Government Anthropologist in Southern Nigeria. But that will be the subject of another post. Further details about N. W. Thomas’s biography and career can be found in the article ‘N. W. Thomas and colonial anthropology in British West Africa: reappraising a cautionary tale’, Journal of the Royal Anthropological Institute 22: 84-107.